The Belhaven Family Weekend 2015 will be here soon and current students, parents and siblings are invited to enjoy a weekend full of exciting activities on September 25-26, 2015. Families and friends gathered to celebrate the Class of 2015 at the Belhaven Commencement Ceremony on May 9. Belhaven University’s Dance Department was recently recognized as a Top Ten Choreography School among other prestigious universities of dance such as The University of Arizona, Temple University, California State University and University of North Carolina-Greensboro. 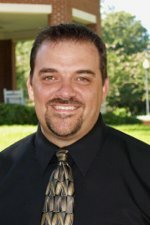 Belhaven University has recently announced the hiring of several new members of its highly regarded faculty. Dr, Elizabeth Brandon will be joining the Biology Department, Dr. Joel Oakley will join the Department of Mathematics, and Dr. David Sollich will join Belhaven’s Theatre Department. The Theatre Department recently announced its 2015-16 season! The lineup includes popular musicals Shrek and Little Shop of Horrors, as well as plays Doubt, ‘night Mother, Doctor Faustus and Ghost Stories of Mississippi. A full schedule will be available in the upcoming Arts Ablaze. Belhaven University hosted and highlighted missionaries from around the world during the 2015 Missions Emphasis Week. The week culminated with a Chapel message from Jeff Shaw, the director of Out of Darkness, an Atlanta-based ministry committed to end human trafficking. The 2014-15 Arts season has completed. We hope you have enjoyed all of the offerings from our Dance, Music, Theatre and Visual Arts department. The 2015-16 season is under development and will be announced soon. Did your student register for the Fall 2015 semester? It is NEVER too late to encourage your student to schedule classes for the summer or fall. As always, students can meet with their advisors to register for the classes they need or stop by the Think Center for assistance. It is important that students take advantage of this chance before classes are full! So, here we are in the final weeks of the semester. It’s amazing how final exams can sneak up on us. The spring semester is always an exciting time—birds are chirping, the sun has finally come out, summer is just around the corner, and for some, graduation is fast approaching—which is exciting news! BUT, your son or daughter still has some work to do. Students tend to burn out around this time or get a case of “Spring fever”, so it is important to reel them in and help them finish strong! You should encourage your son or daughter to find out where they stand in their courses. All professors give students a syllabus at the beginning of the semester and some even outline coursework in those syllabi. Suggest they go through each syllabus and jot down grades for their assignments. If the syllabus does not list assignments or if they simply can’t remember their grades, encourage your student to speak to their professors. Faculty at Belhaven are known for their accessibility and willingness to help—it is always a good idea to talk to a professor. Secondly, encourage students to get organized. Organize their exam schedules, notes, living quarters and whatever else feels out of balance. Being organized helps to create a clear thought process, and it allows students to prioritize their workload. The third tip is to avoid distractions, which may be the hardest one. Students have an even harder time with this now because of smart phones and the internet. Research from Baylor University states that college students can spend up to 10 hours a day on their cell phones. Think of all the studying that could get done in that time! Finding a study area with few distractions can vastly improve concentration. As always, we are here to help. We want your student to succeed just as much as you do! Please encourage them to come by and see us in the Think Center. We were all in their shoes at some point in our lives, and we are happy to rally them through these last few weeks. Tutoring: Encourage your son or daughter to utilize these valuable campus resources. Hours of operation are below for Spring 2015. Tutoring for Old Testament and New Testament is offered with the Worldview Learning Center. Join us in Rugg for lots of food and fun! Cheer on the intramural basketball teams in their final games! Every Fourth Friday afternoon of the month, there will be a service project! Join us as we serve at the Spencer Perkins Center for the month of April! Meet in Cleland Hall (First Floor) at 2pm to carpool. We will be back on campus by 5pm! Come shop at the Belhaven- wide yard sale! Clothing will be $5 to fill a bag and other items will be sold as marked. Money will go to support the Red Bus Project! After shopping at Dorm Room Dive, head to the Rugg to end the night with a movie and snacks! This annual juried exhibition of student works highlights a wide range of styles and media including drawing, painting, photography, printmaking, sculpture, and mixed media. This exhibition is always one of our most festive and popular openings. Complimentary Admission. The descent / lifted me, a devised theatre work, created during rehearsal by the cast and director Joseph Frost. Interwoven story lines will explore descensions, ascensions, and resurrections. General Admission $10; Seniors/Students $5. 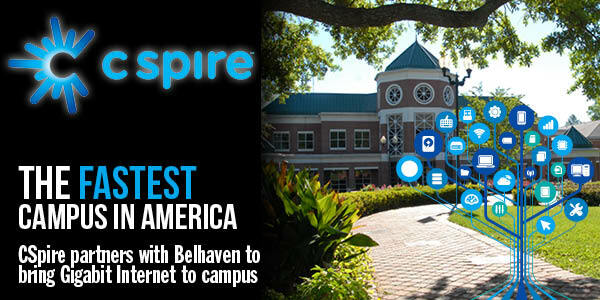 Complimentary admission for Belhaven students as well as Belhaven Faculty/Staff and their immediate families. Doors open 30 minutes prior to each performance. A showcase of choreography by dance faculty and guest artists, presented by the Belhaven University Dance Ensemble. A range of styles include classical and contemporary ballet and traditional and contemporary modern. General Admission $10, Seniors/Students $5. 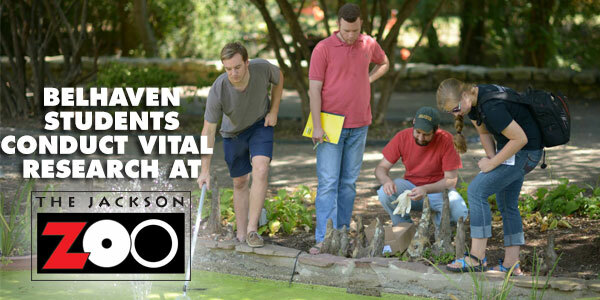 Complimentary admission for Belhaven Faculty/Staff/Students and immediate families. Doors open 30 minutes prior to each concert. Come and experience a new and unique combination of chords and timbres as the Wind Ensemble moves to the contemporary avenue and performs some of the newer music in the wind band repertoire. A confluence of improvisational genres and styles delivers a unique musical flavor! This is a musical stew with all the ingredients including contemporary jazz, some original B.U. Blues and a side dish of some Gospel Music, jazzed up of course. In short, IT’S GONNA BE FUN! Complimentary admission. Doors open at 7 pm. A week-long series of theatrical events, from featured guest artists, student-initiated performances, staged readings, senior recitals, and class showcases, to workshops and presentations. The full Festival schedule to be announced in April; contact the Theatre Box Office for information. Admission for featured performances only, all other events are free to the public. The Belhaven Composers Forum invites you to an interactive showcase of engaging new works by Belhaven student composers. The program will explore new ways to experience the adventure of music-making as the composers and performers open windows into their creative worlds. Complimentary admission. Doors open at 7 pm. Who sang in the choir with Samuel Adams? Who had Paul Revere do the cover for his book of musical compositions? Who wrote the song that stirred the spirit of revolution in the hearts of the people who would become the first Americans? William Billings of Boston, that’s who! Dr. Christopher Shelt playwright, conductor, and stage director will tell William Billings story in a Choral Drama, directing the Belhaven Concert Choir, Belhaven Chorale, and a full company of actors in a unique production, portraying both the life and the music of this colorful, witty, humorous, unkempt composer and vocal educator that changed the face of American music. Complimentary admission. Doors open at 7:00 pm. Student composers from Belhaven University and Mississippi College realize the dream of having their compositions read by professional players of the Mississippi Symphony Orchestra, directed by Maestro Crafton Beck. Brief discussions of the compositions and the composers’ intentions are part of this positive, engaging, and exploratory session. Complimentary admission. Doors open at 5 pm. Reception following in the Grand Hall. Open to all artists! You are invited to share your talents during this spontaneous collaborative evening of dance, music, visual art and spoken word. The Music Department presents the most outstanding student performances from the last three months on one concert. Musical variety and excellence are the gifts from our student performers to you. Complimentary admission. Doors open at 7 pm. May 9 – Graduation and Halls Close at 5pm for those participating in the graduation ceremony. The Belhaven University Department of Communication hosted the 2015 Media Ethics Conference on March 19. The university hosted several media professionals that discussed the importance of ethics in mass media. Gary LeMotte, a senior International Studies major, recently returned from a study abroad opportunity in Vanuatu where he studied, researched and translated books into the South Pacific island’s native language. Dr. Amy Rex-Smith, Professor of Nursing and Director of the RN-BSN Program at Belhaven University will receive the “Excellence in Nursing Education” award from the Massachusetts Chapter of the American Nursing Association. 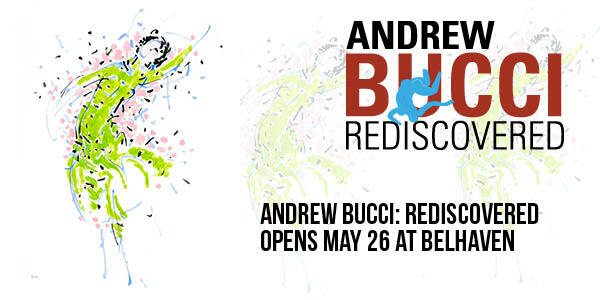 April is full of great Arts events at Belhaven University. The Theatre Department is presenting “The Descent/Lifted Me” on April 15-18, and the highly anticipated Spring Dance Concert takes place on April 17-18 and April 24-25. See the Arts Schedule for more information and a full schedule. Beginning Monday, March 23 students will be able to participate in Registration for the Summer terms and Fall semester. It is NEVER too early to encourage your student to be thinking about classes for the summer or fall. As always, this is the opportunity for students to meet with their advisors to register for the classes needed and work towards completion of their academic plan. It is important that students take advantage of this chance before classes are full! It’s an unfortunate truth, but most students who struggle academically do so because they wait until it’s almost too late to seek help. There are always reasons why someone doesn’t want to seek out help, but more often than not those reasons all begin with one issue: PRIDE. The term “tutor” comes from the Latin word that means “watcher” or “guardian”. That’s a fitting description of what our tutors at Belhaven desire most – to help students do their best academically, by watching over them as they work through their struggles. Our tutors are actively involved in helping students think through what they are doing and how to manage their engagement of a subject in order to be successful. If you hear frustration in your student when they talk about their classes or grades, encourage them to seek help. 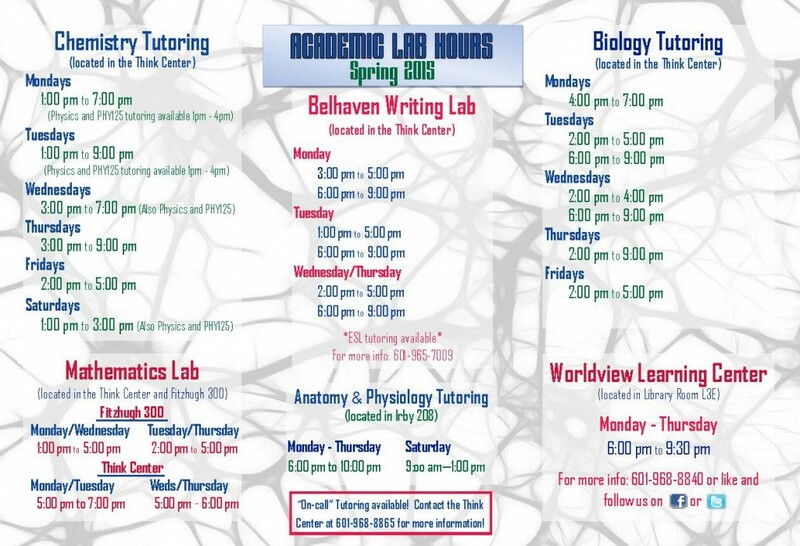 If they don’t know whether a tutor would be helpful to them, have them stop by the Think Center and we can help them think through specific issues they might be having in class. The main thing students should remember is that it’s okay to seek help and use tutoring to help them overcome their academic struggles. The key to seeking help before you need it begins with a proper understanding of self. Students have to accept and understand that they need help. Although their grades ultimately reflect it, students often recognize they need some type of help before they even see their first grade. Without a proper understanding of the material or subject students will struggle, but many won’t seek help because they aren’t even sure what questions to ask. We stress the importance of communicating with professors for this very reason. If a student doesn’t understand the material, but can’t identify why they don’t, professors and/or tutors can often help them uncover the “block” and begin to see more clearly. Too many times, students wait until midterms (or later) to seek help that could have been more beneficial earlier in the semester. Encourage your student to come see us in the Think Center, speak to their professors, or sit down with a tutor if they have any concerns at all. All Services are held in the Center for the Arts. Audio of Chapel is available from the chapel blog . Been looking for a place to perform? You need to get on the set list for Beats at the Bird. Help BAT make this the best coffee house Belhaven has ever had. BAT will have sign-ups for performers February 16 and 17, 11am-2pm in the Student Center. The event will take place Friday night and it will include free coffee, treats, and beats from your very own student body. On Saturday, February 28th from 11:00-2:00, the Belhaven Leadership Council will be hosting an event that will help students, faculty, and staff gain more insight on how to take care of your car and what to do in certain situations that might leave you on the side of the road. For example: How do you change a tire? or Who do you call when a rock hits your windshield while driving down the highway? These are valuable questions that have answers! Also, the Social Work ministry, His Hands His Feet, will be traveling to Haiti to serve at an orphanage. They will be hosting a car wash to raise money for their service in May. Come for insight and leave with a nice clean car! FREE movie and popcorn. Do we need to say more? Get your friends, get a blanket, and get to Gillespie Commons! Join us at 6pm in the Student Center Theatre. For Missions Emphasis Week we will be showing a screen of Nefarious, an anti-trafficking documentary followed by some time with Jeff Shaw from Atlanta Dream Center. Belhaven Center for the Arts at 7pm. The Dance Department’s graduating seniors offer a showcase of innovative and creative choreography and performance culminating their dance studies. General Admission $10; Seniors/Students $5. Complimentary admission for Belhaven students as well as Belhaven Faculty/Staff and their immediate families. Doors open 30 minutes prior to each performance. Prepare ye for the timeless tale of friendship, loyalty, and love based on the Gospel According to St. Matthew. A small group of people help Jesus Christ tell different parables by using a wide variety of games, storytelling techniques, and hefty dose of comic timing. An eclectic blend of songs ranging in style from pop to vaudeville is employed as the story of Jesus’s life dances across the stage. Dissolving hauntingly into the Last Supper and the Crucifixion, Jesus’s messages of kindness, tolerance, and love come vibrantly to life. General Admission $10; Seniors/Students $5. 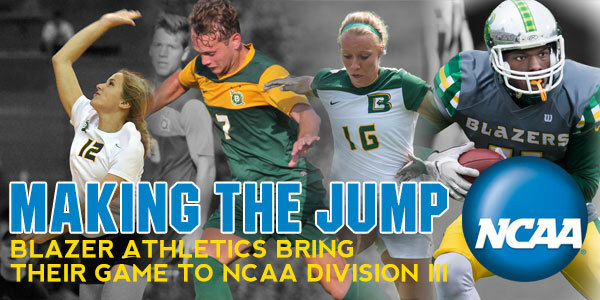 Complimentary admission for Belhaven students as well as Belhaven Faculty/Staff and their immediate families. Doors open 30 minutes prior to each performance. Belhaven’s resident composer and professor of theory and composition presents a sampling of musical works from his bemused and adventurous pen. Featuring an array of performers and collaborators, the music involves history, philosophy, physics, love, art, and (of course) humor. Complimentary admission. Doors open at 7 pm. Frank Sinatra? Yes! Dr. Christopher Shelt, a teacher-performer professor of 16 years at Belhaven University, performing with a jazz trio and selected students from his studio, past and present, revisits the famous duets Franks Sinatra sang and recorded with leading vocalists during his day. With all the Sinatra classics, it promises to be an entertaining evening. Dr. Shelt even has blue eyes… Complimentary admission. Doors open at 7 pm. March 9 – 13 – SPRING BREAK!